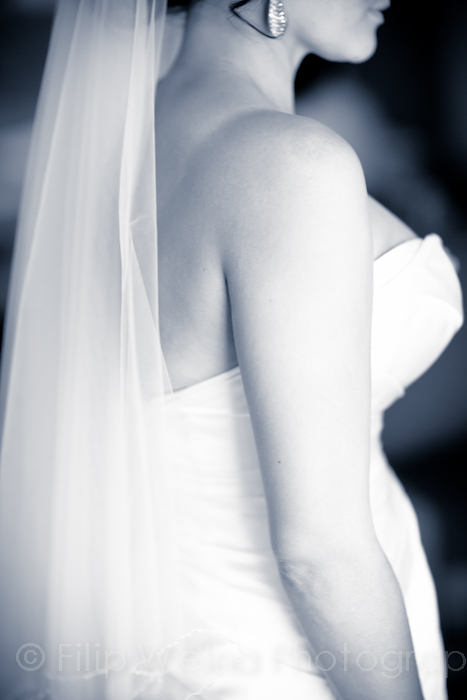 Perhaps one of the most iconic objects of a wedding, second only to the white dress, is the bridal veil. 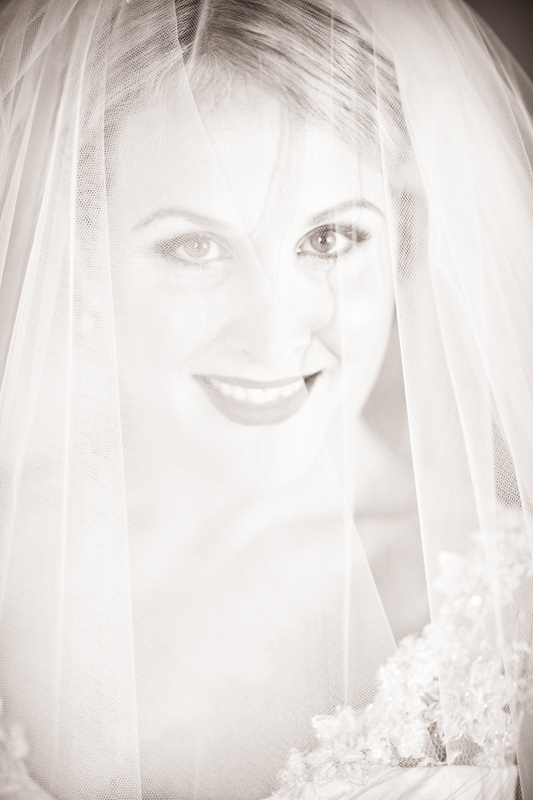 Once upon a time a veil was a must have item but these days many brides choose not to have a veil; for some it is too old fashioned or too uncomfortable to bother with but for many it is an integral part of their wedding outfit. 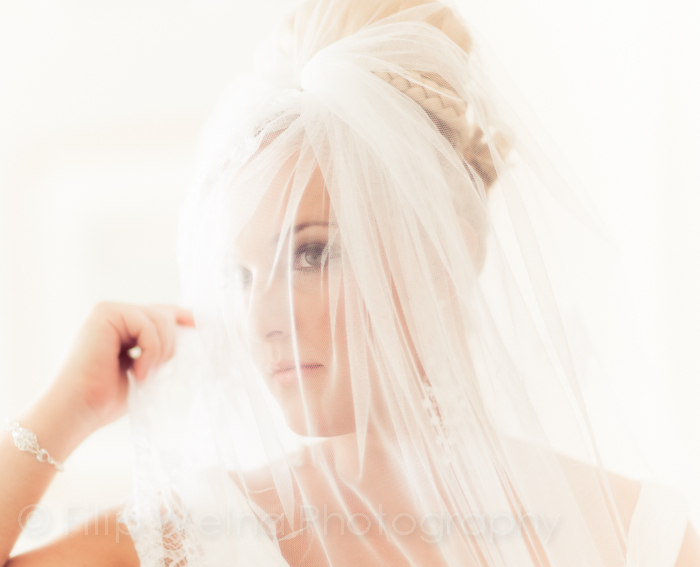 As a photographer I can say that I love veils! Even when misbehaving (i.e. frolicking with the wind and whipping all in the vicinity in the face) veils look beautiful. Whether they are cathedral length or a sassy retro chin scraper, veils are the ultimate romantic emblem of the wedding day. 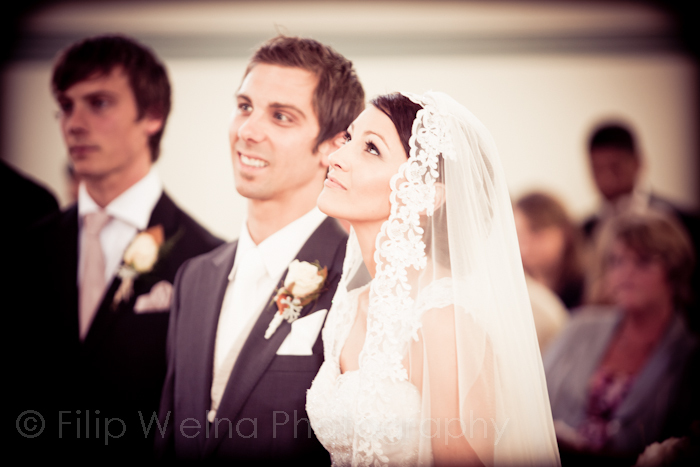 its not unusual for the putting on the veil to be the moment when brides and mums etc. 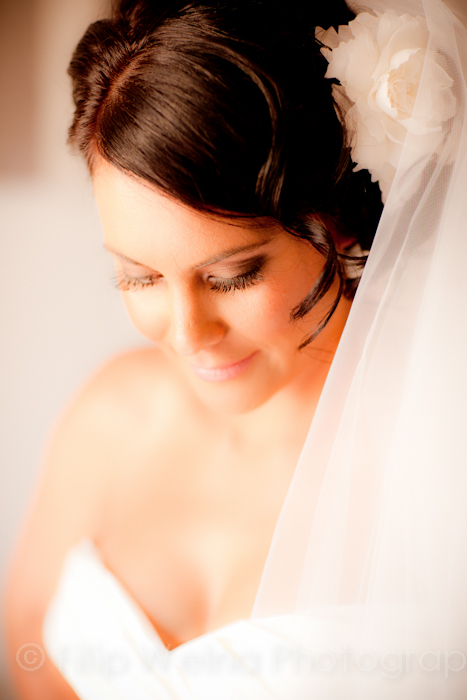 will get all teary eyed (much to the consternation to any makeup artist!). 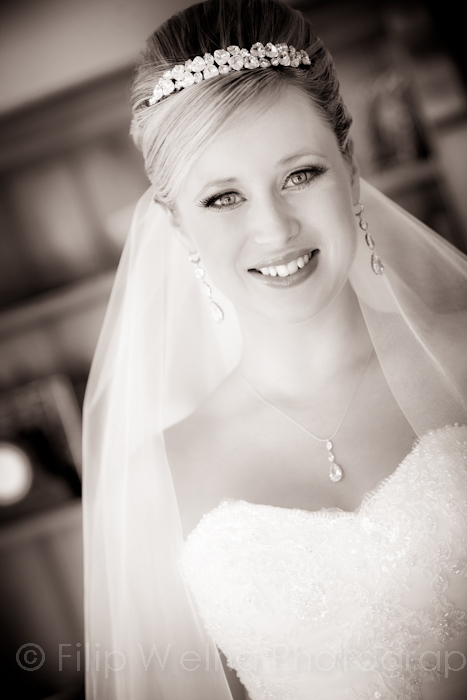 When brides ask about whether they should have a veil or not I always say ‘yes!’. 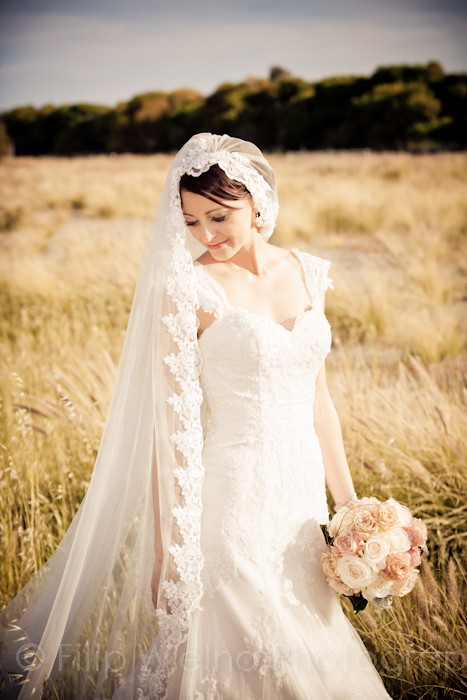 Lets face it, your wedding day is probably not the last day you will wear a beautiful big dress on but there are few occasions, save a fancy dress party, that you will have an opportunity to wear a veil. 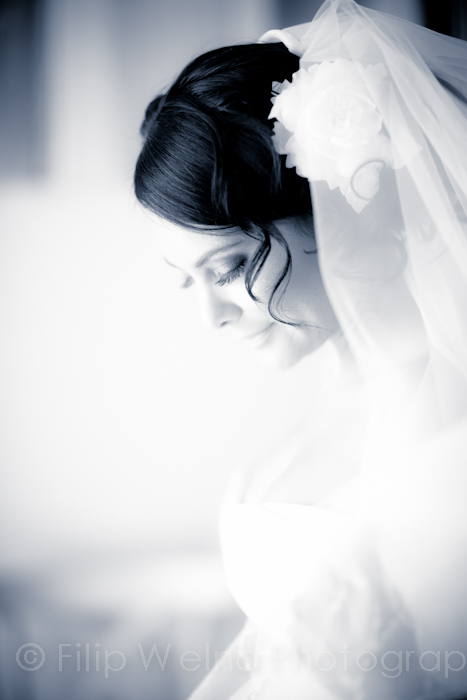 In photography veils tend to soften the light creating sort of soft hallow around bride and softening skin tones when doing close up portrait shoots, in full length shots they can extend the silohouette if long in length and (if the wind complies) be used for dramatic effect. 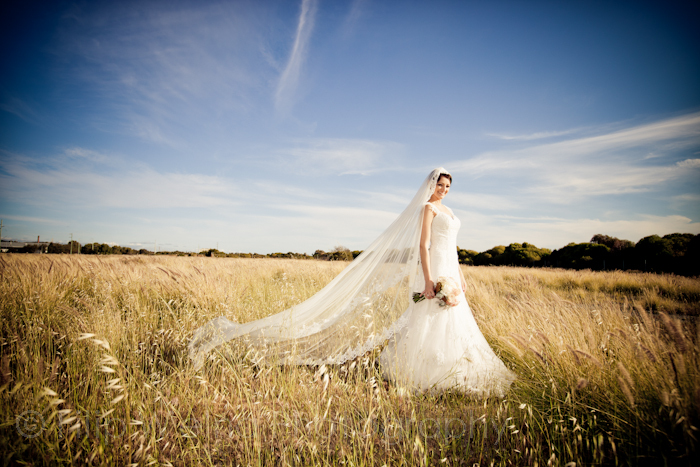 Some of my favorite shots are of a veil playing with the wind, generally being a nuisance but producing the most stunning shots in the end. If you have reservations, remember you don’t have to have a veil that covers your face, and even if you do you can have your dad (or whoever walks you down the aisle) to pull it back right at the beginning of the ceremony so you are not watching everything through a gauzy filter. Neither do you have to wear the veil the whole entire day, take it off at the reception if you found it annoying (just make sure a bridesmaid knows hot to take it out so your hairdo stays intact). 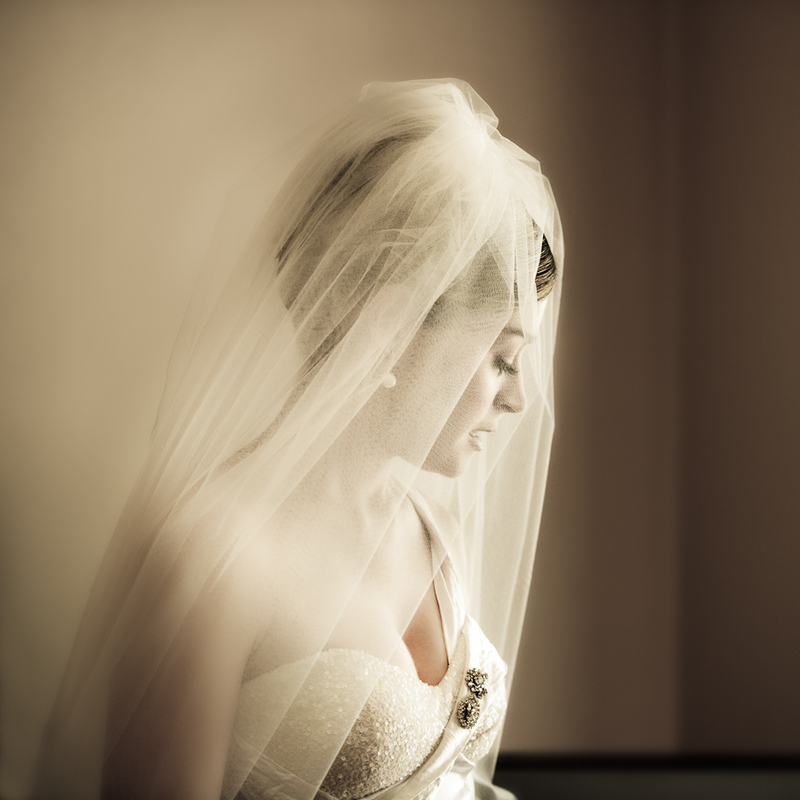 If a veil still seems a bit ‘ugh’, you can always go for a fascinator like head covering but I always caution people not to get anything that covers a great part of the face. I know some brides love a little bit of netting just over one eye (its very vintage), but having hundreds of photos where part of your face is always obfuscated may not be ideal, so really think about it from both a photographic and comfort perspective (I am not saying don’t have one, I am just saying make sure you can see clearly through it and !). 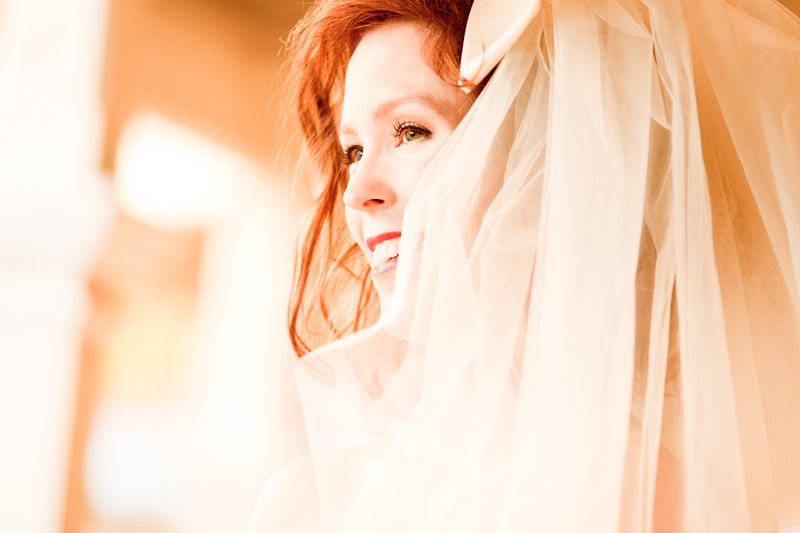 Long or short veils are wonderful romantic symbol of the day and I highly recommend having one.